Chris Benfield's partly expository, partly textual treatments are both simple and contemporary. They have that rare combination of being interesting for private Bible study as well as for useful for preparing a lesson when you have little time. The set also includes some very good topical lessons. Are you a minister, small group leader or lay person who enjoys a good study that leads you through Biblical text? 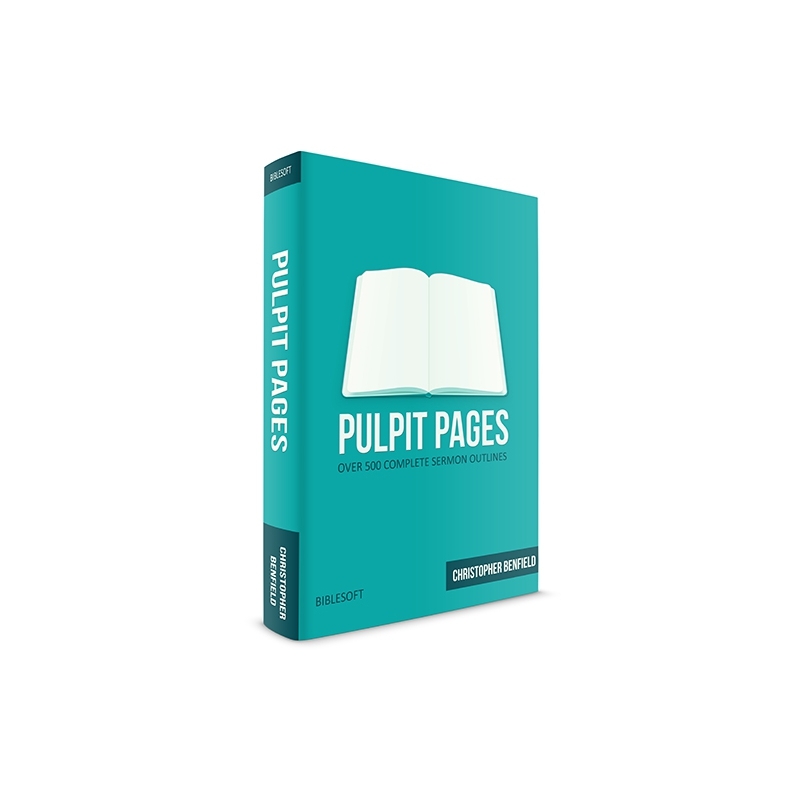 Pulpit Pages is a tremendous resource for doing just that. 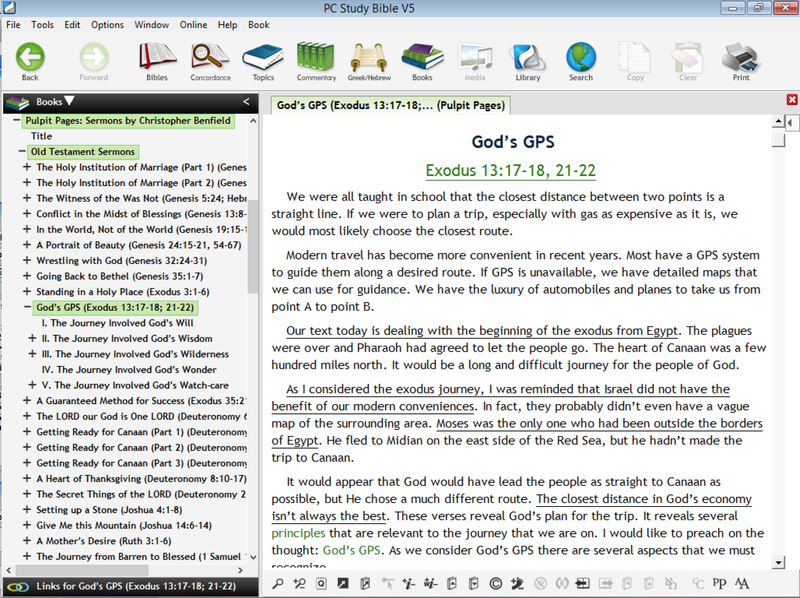 It has a complete set of outlines that help you teach through the entire Old and New Testaments, chapter by chapter. With over 500 outlines and very easy-to-read explanations of text and background information, you'll never be at loss for a quick outline to teach on any section of the Bible. 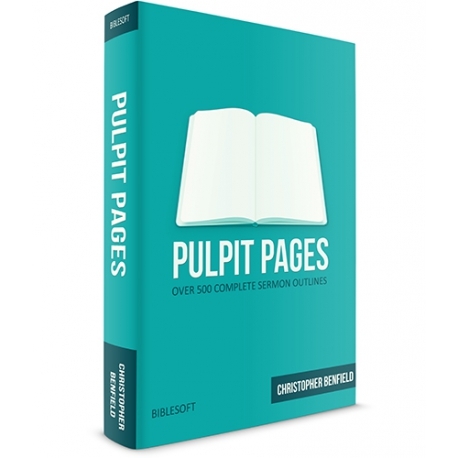 Chris Benfield is a young, well-educated Bible scholar who uses contemporary terminology and illustrations while sticking with simple, proven background information in each outline. His high respect for Biblical integrity is also obvious in each lesson. Read more about the author here.